While collecting information on an exposé about Toots Minvielle’s life’s accomplishments I kept running across the dominant clubs, teams, and those that coached them throughout that time frame (1952-present). Peter Caldwell did an excellent job of documenting the history of the Molokai races. Within that treasure trove is a collection of results of season-long training sessions. The Outrigger Canoe Club Archives also has excellent historical articles about training regimes. All of this history is the result of Toots taking the time to expand this sport internationally. A time line of when and how that came about is in the works. The IPCF (now IVF) historical records is filled with the who’s who of sprinting. This year finally the IVF has come up with the true Marathon event whereby a country is represented by one individual crew entry in a category per country. That pars down the finish podium to the best from each country unlike the major big races around the world. Mind you that IPCF/IVF had long distances events around and during their past World Sprints events beginning with the first event in 1984 in Long Beach, California. So getting back to the main object of the article, coaching and training styles. 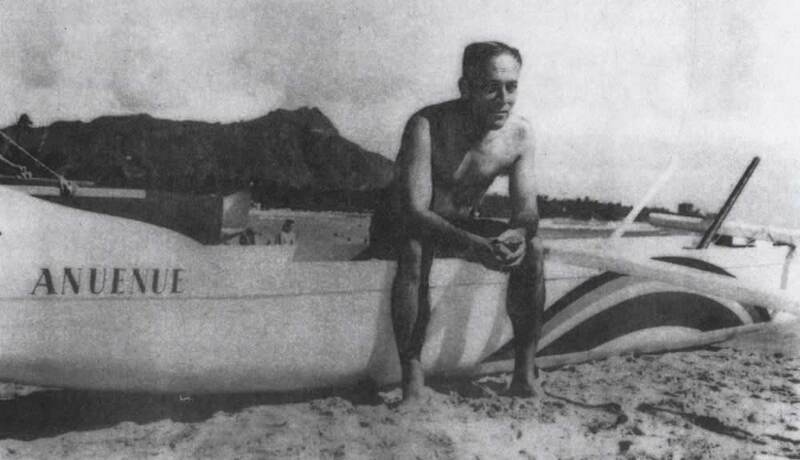 George “Dad” Center was Outrigger Canoe Club’s Captain (coach) from 1913-1942. During those years he trained some of the best swimmers, paddlers, and all around athletes. His accolades of training Olympic swimmers is historical. From him sprang a wealth of athletes that became coaches that went on to train other athletes. The concept of putting the time in with good training habits is easy to say, but in reality it takes the drive and sacrifices to maintain that habit in a team situation. In Hawaii weather is not a factor unless there is a tropical storm and then you can train inside. The water training workout is conducive to time on the water. In tropical waters, swell direction and air & water temperature have that advantage for year-round training. The teams in IVF today are starting to get that sense of dedication that it takes to knock off seconds in a 2000-meter or 5-mile run. In Tahiti in the early 80’s, Pirae’s Edward Maamaatua was given several K-1 and C-1 Olympic boats by the French national canoe team because of Tahiti’s athletes natural water competitiveness. From that meeting and gifts sprang forth their new designed canoes. 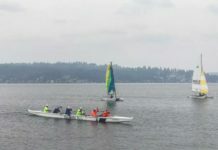 Along with the designs a training format of working on technique, putting quality time in on the water, using varying strokes throughout the particular events was all taken in. Along with varied dry land training sessions they began to see better results. 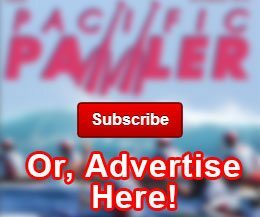 Put into that mix a benefactor of a sponsorship, you now have an excellent chance of getting the best paddlers to join your team. But when you have 40 of the top paddlers, how do you choose? It can come down to youth, desire, and/or talent. 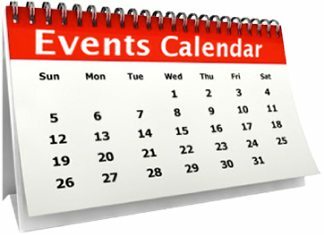 The competition calendar is also a factor. 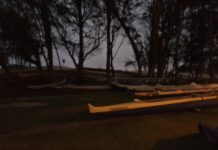 Tahiti has over 50 events in a year, and 2 months out of the year they don’t have races because of the rain factor. It’s simple math, you put more quality time as a team under racing conditions, you will finish in the upper brackets. Using the V-1 as an added training tool for conditioning puts individuals into team boats easier. Putting in a little incentive of money doesn’t hurt to sweeten the pot for working harder in the case of Tahiti. 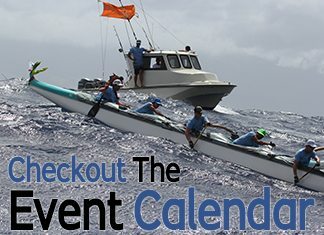 During Offshore Canoe Club’s run for the Molokai podium we gathered athletes that had credentials with impeccable training habits. It was nothing for anyone of them to do a hard water work out then go for a 40 mile bike ride to cool down. Each individual was an aquatic marathon workout-infused and dedicated true athlete, and like most clubs, when there is a change in leadership, so goes the crews. In Australia, the surf boat clubs were and are the basis for hard training regimes. Their cross training in aquatic themes is their basis for staying fit 365 days a year. In Hawaii, now there are teams that are concentrating on 365 day training. They are showing some improvement in knocking off the precious seconds and minutes at those events they enjoy going to. Some clubs are seriously looking towards their youth to carry on the quest for athletic dominance, which was also Dad and Toots themes also. There are now clubs, teams, trainers, clinics, and seminars accomplishing this desire to get faster longer. Did it spring from Dad Center’s coaching talents and his protégées or was it Toots who started to spread the sport first to California, then to England, France, Germany, and Australia? Toots and Bob Fisher, from Outrigger, did go to Tahiti in 1974 to discuss coming to Hawaii for competition. All of this history is usable as a coach or trainer, if they understand the concepts. Hopefully this will give some insight to those clubs’ training now that working hard is just part of the formula of standing on that podium. 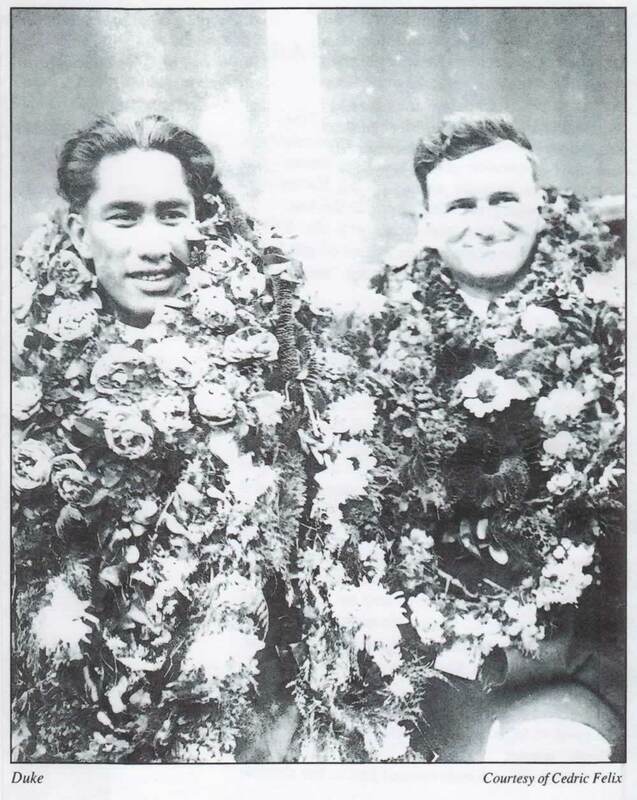 “Dad” was the coach of many of the now legendary coaches and athletes, in Hawaii. This is from the book “Duke, the life story of Duke Kahanamoku” by Joseph Brennan. It shows Duke, the protegee and Dad Center, the coach, after coming home from an Olympic conquest. 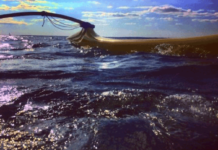 This is Toots sitting on the very first fiberglass outrigger surf canoe built in 1954. He was a man before his time.